On the 1st July, the The Rubberbodies Collective will be donating a weathervane to the Sliema community as part of the project il-Warda tar-Riħ (The Windrose Project) which is part of the Valletta 2018 cultural programme. To mark this event, titled Winds Bring Gifts Ashore…, an intimate performance is being organised at Exiles beach at 7.30pm, which will lead to the unveiling of the weathervane by Sliema Mayor Anthony Chircop. The Sliema weathervane is the first of four public art sculptures which will be installed in Sliema, Marsaxlokk, l-Imġarr and l-Għarb. 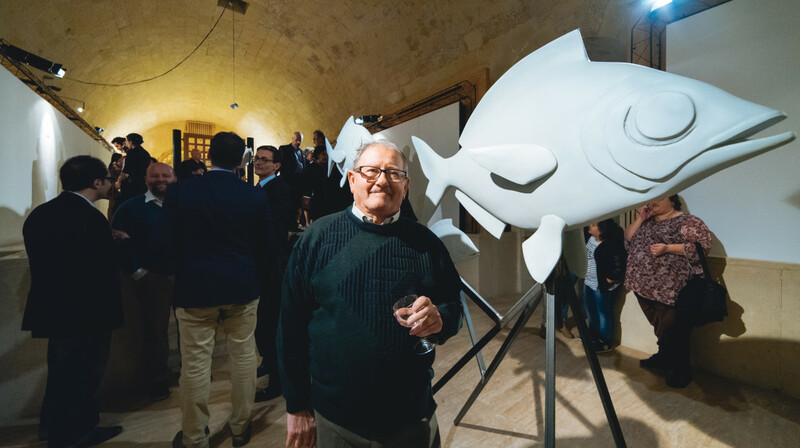 The Sliema weathervane boasts the reassuring form of the perennial saddled bream, or kaħlija, which is reputed to be a challenging yet rewarding recreational catch and has long captured the imagination of fishermen. The design was inspired following discussions with Leli Camilleri, the President of the Għaqda tas-Sajjieda Dilettanti, and the Sliema Mayor. Sliema’s relationship with the elements has almost disappeared entirely as high rise buildings now shelter the coastal town. The site was chosen since this particular stretch of coastline forms part of the little ‘natural’ landscape that the community has been left with.The coast, tiny in comparison to the urban development in Sliema, is an expanse of white rocks spreading alongside the promenade facing northerly and easterly winds. Il-Warda Tar-Riħ (The Windrose Project) recovered memories from all four corners of the Maltese archipelago. Following discourse and design sessions with local communities, artists with The RBC present their findings in sculptural form. The works touch on a time-old Maltese connection to the elements and natural rhythms.